Comic Legends: What Secret Message Was Hidden on a Wolverine Cover? Welcome to Comic Book Legends Revealed! 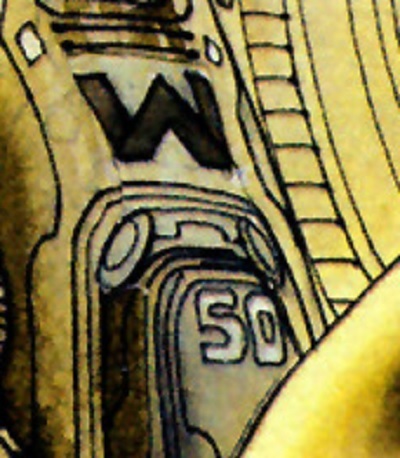 This is the six hundred and sixtieth week where we examine comic book legends and whether they are true or false. Click here for Part 1 of this week’s legends. 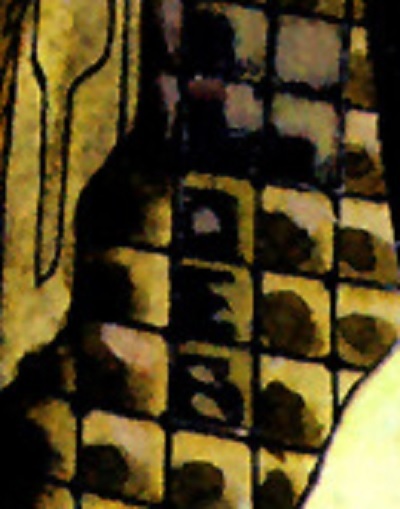 Simone Bianchi announced his run on Wolverine with Jeph Loeb on a hidden message on the cover of Wolverine Origins #3. 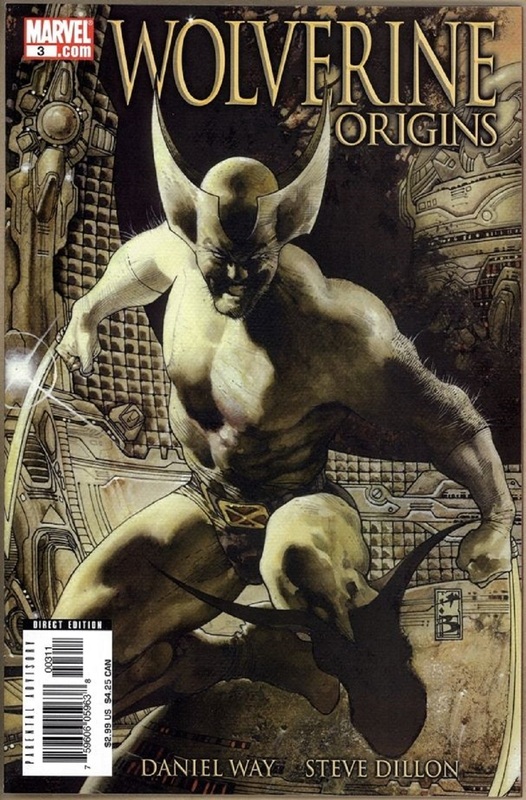 In June of 2006, the third issue of Wolverine: Origins came out. 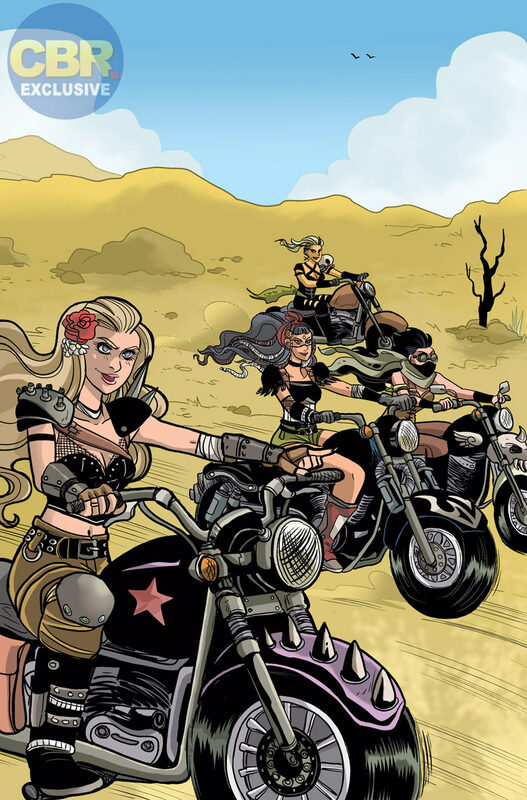 There was a regular Joe Quesada cover, but there was also a Simone Bianchi variant cover. Here is the Bianchi cover for the issue. 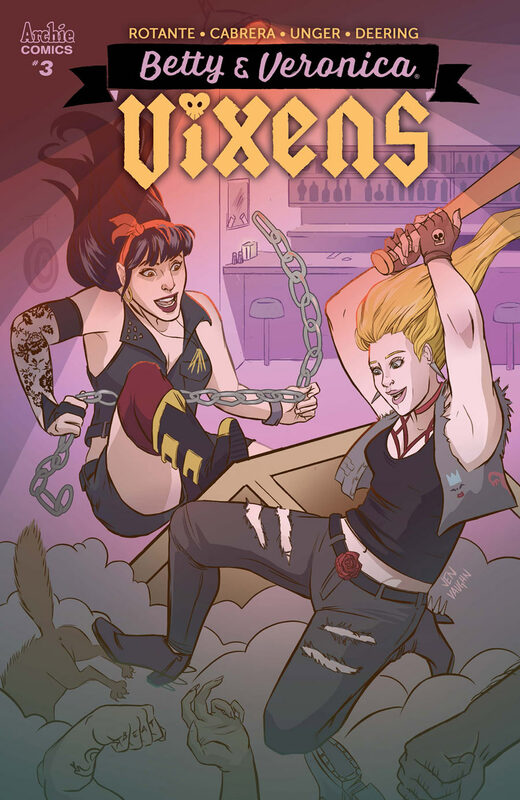 Recently, I did a list about 15 comic book covers that surprisingly made it past the censors. 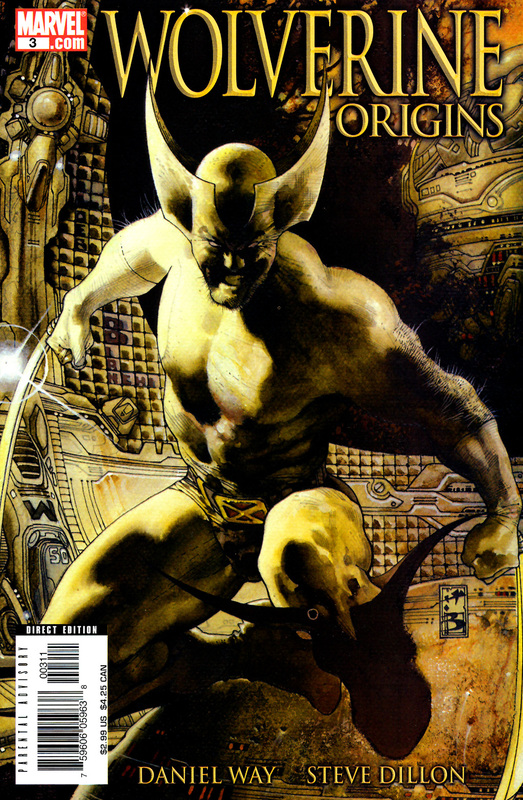 That was why I featured Esad Ribic’s cover for 2003’s Wolverine #6 in the first part of this week’s Comic Book Legends Revealed where Ribic made the cover extra racy. Here, see if you can tell what is going on in Bianchi’s cover. You see, Bianchi did two different batches of covers. One was the one I showed you above. Here is the other one. 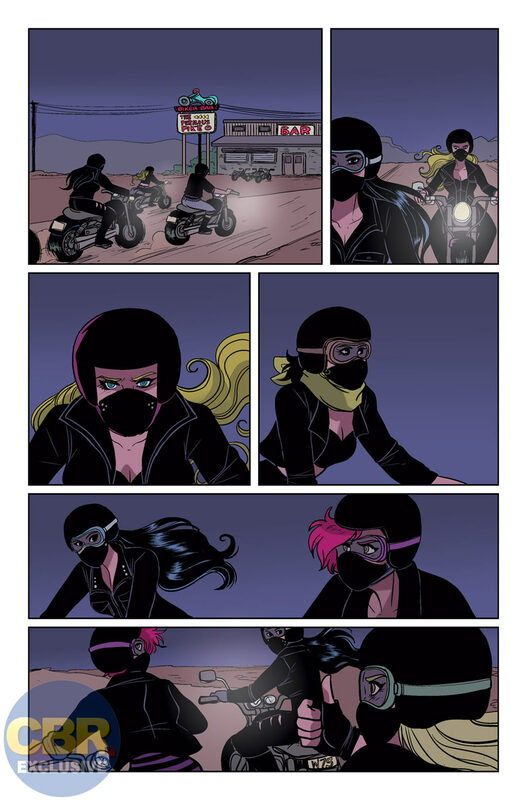 You see, in the first one I showed, Bianchi hid hints about his next assignment. 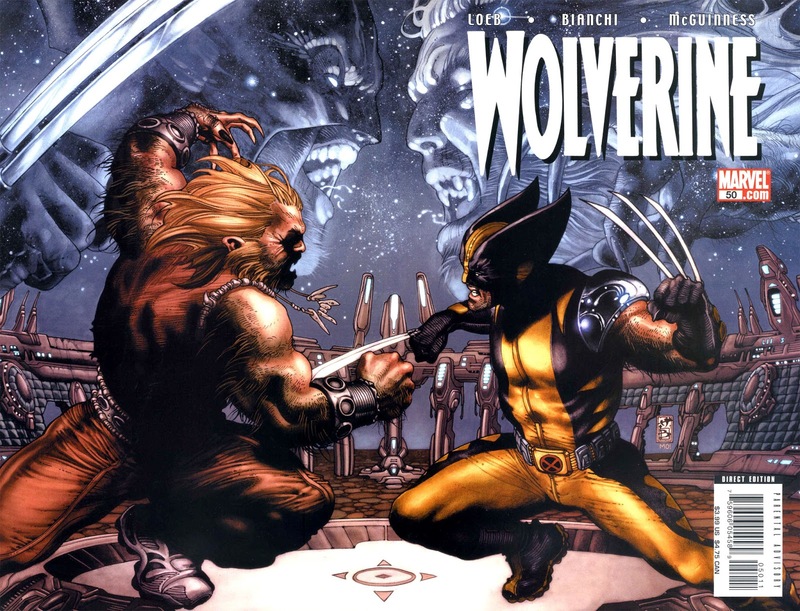 He was going to join writer Jeph Loeb on the other Wolverine series with issue #50 (which was due out almost a year after Wolverine: Origins #3 came out – Bianchi needed a lot of lead time for his stuff). I’ve circled them on the cover, as well…. A very clever way by Bianchi to scoop everyone and announce the big news himself! Check out my latest TV Legends Revealed – How Did ‘Auld Lang Syne’ Become a New Year’s Tradition? Part 3 will be up soon! Feel free to write in with suggestions for future legends to either cronb01@aol.com or brianc@cbr.com! 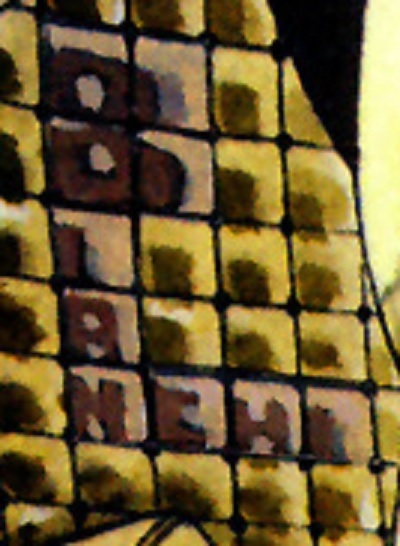 The post Comic Legends: What Secret Message Was Hidden on a Wolverine Cover? appeared first on CBR. How Did Early Justice League Stories Deal With Superman? Knowledge Waits is a feature where I just share some bit of comic book history that interests me. Today, we see how early issues of the Justice League deal with Superman being too powerful! 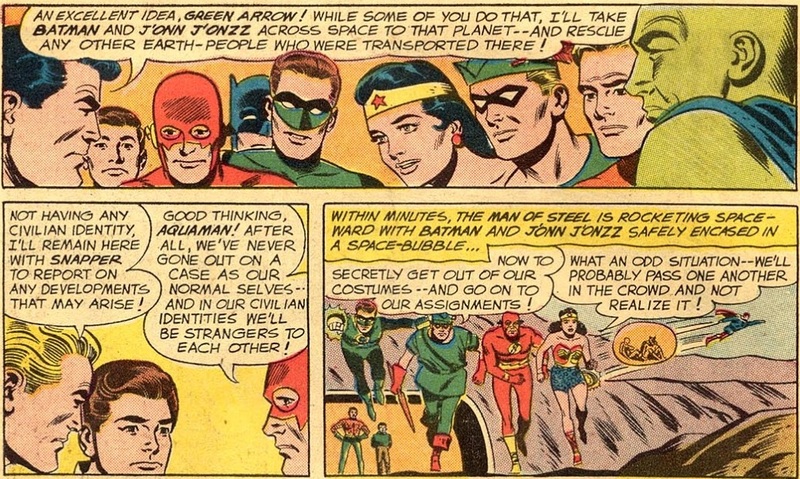 You see, when the Justice League of America debuted, the idea was to spotlight the lesser characters – the newer heroes who were not as established as Batman and Superman (Martian Manhunter, Flash and Green Lantern) and the older heroes who never quite got as famous as Batman and Superman (Wonder Woman and Aquaman). However, they still needed to have Batman and Superman on the team, to give the book the attention that it deserved for having DC’s greatest heroes on the team. So how do you reconcile the need to have Superman on the team with the need to NOT have Superman involved very often? That was the challenge that Gardner Fox had to deal with every other month for years until DC relaxed their standards and Superman and Batman suddenly were featured just as prominently as everyone else in the League. 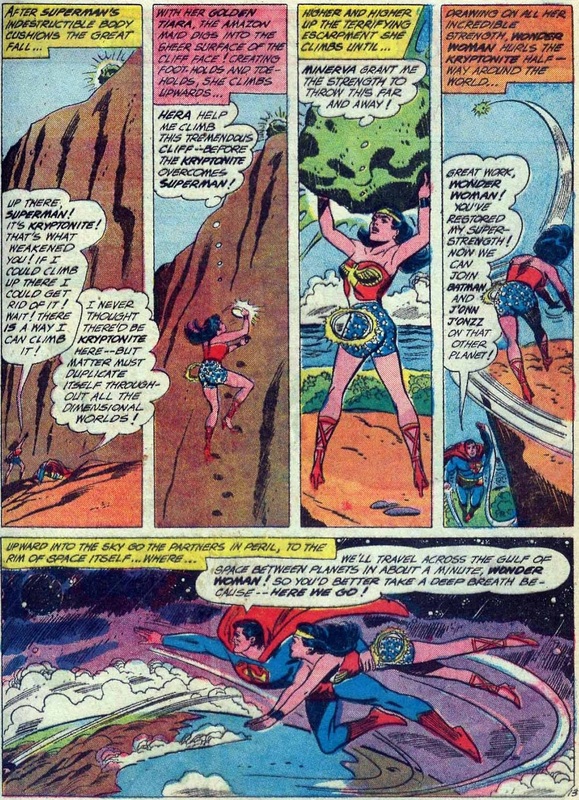 But we’ll take a look at how Fox (who was working with artists Mike Sekowsky and Bernard Sachs for this run – with Joe Giella lending a hand in the first two Justice League stories,as well) kept Superman from outshining the “main” cast of the series (Wonder Woman, Flash, Green Lantern, Aquaman and Martian Manhunter – plus later Green Arrow and Atom). 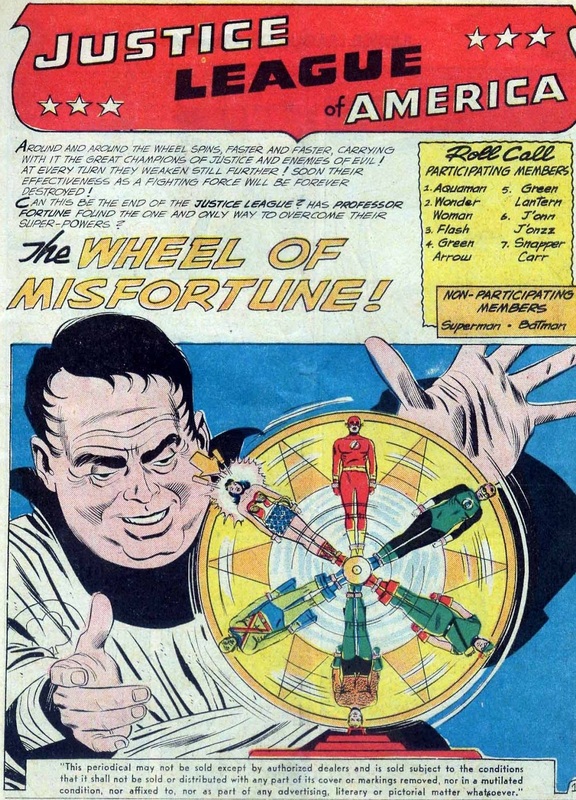 We’ll start with the three-issue “try-out” that the Justice League received in Brave and the Bold #28-30 and then the first 25 issues of Justice League of America. Roughly four years’ worth of stories. In the very first Justice League of America story, Superman is busy punching meteors while the rest of the League takes on Starro. This is one of the more straightforward attempts to write Superman out of the story. In the next issue, there is a big deal made when Superman doesn’t show up when the Justice League signal went out. Eventually, Batman leaves the team, as well, to find out where Superman was (nicely writing Batman out of the story, as well). It turns out that Superman was time-traveling so that he missed out on the signal. Batman found him in time (how, I dunno) and they showed up to save the day at the end of the story. 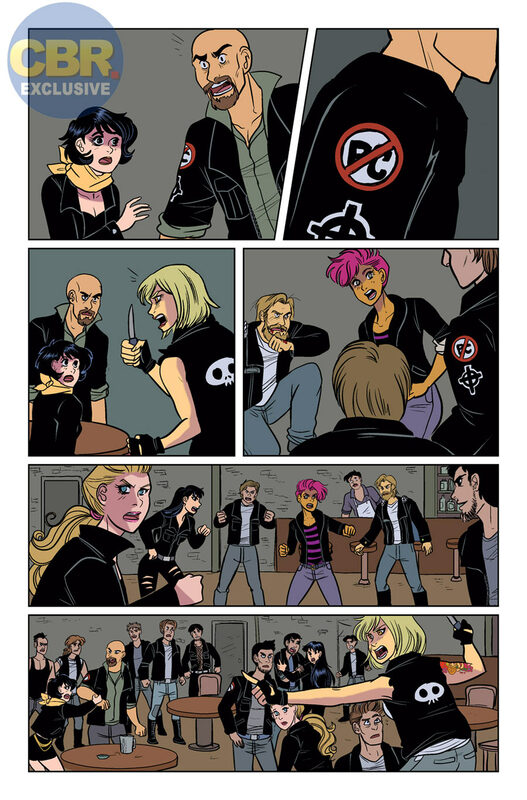 In the final try-out issue, the League all splits up and are captured one by one by Professor T.O. 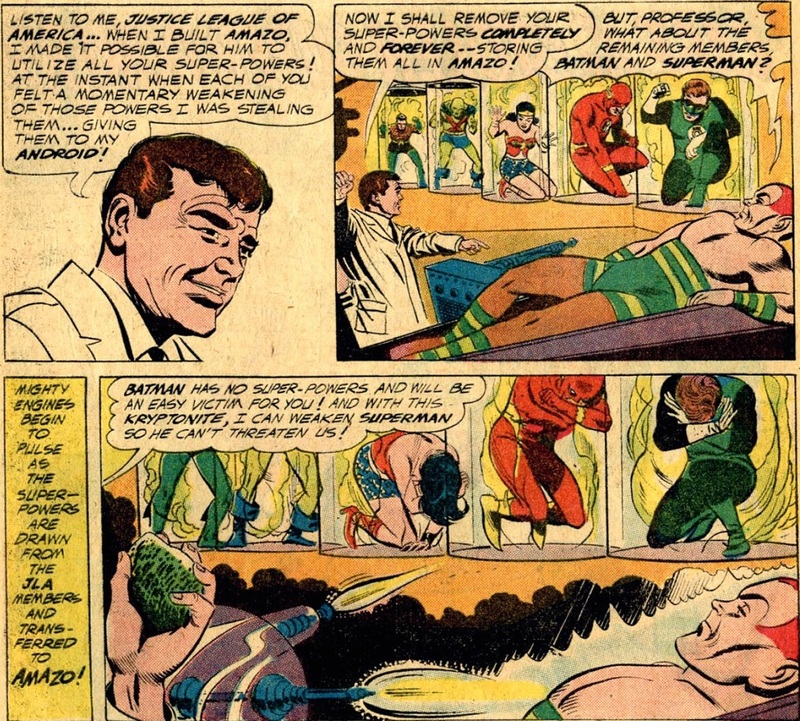 Morrow who adds their powers to Amazo. Batman and Superman just never get found. It’s really kind of hilarious. 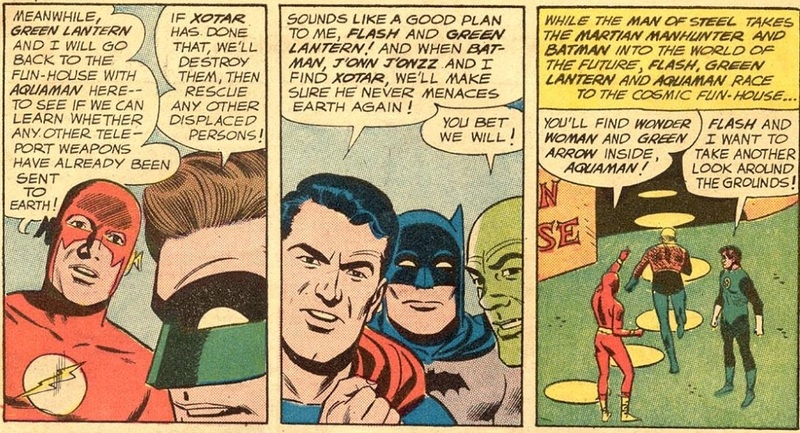 But Morrow notes that they’ll be ready if Superman ever shows up (“I can give superpowers to my android, but, hey, I won’t bother getting the MOST POWERFUL SUPERHERO AROUND”). 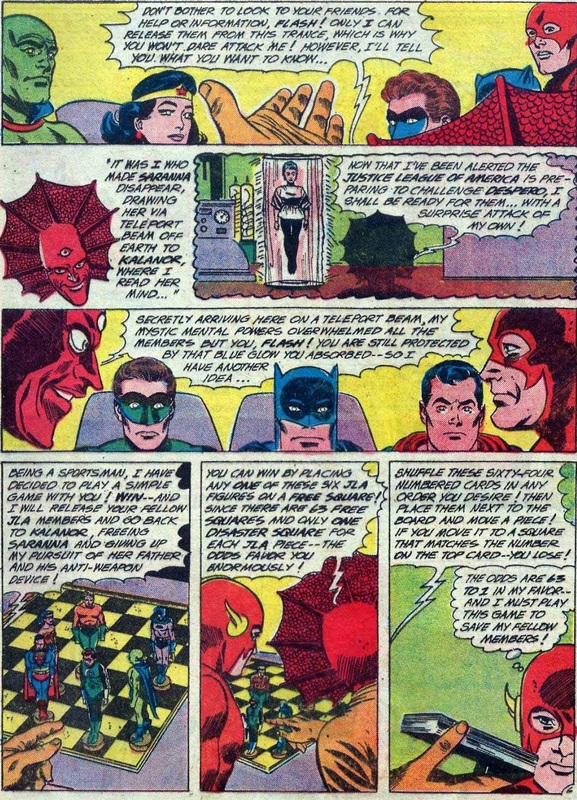 In the first issue of their ongoing series, Superman fell victim to Despero’s mental powers, just like the rest of the League. Later, when they were each transported to different worlds, Superman landed on a world where he was stuck with a Kryptonite boulder. Wonder Woman, though, got rid of it. Superman, though, appeared more in this issue than any other Justice League adventure so far. In the second issue, the League deals with magic, which, as Superman so commonly liked to tell us in these early issues, was one of his two weaknesses. Shockingly, then, the League kept running into those two things. 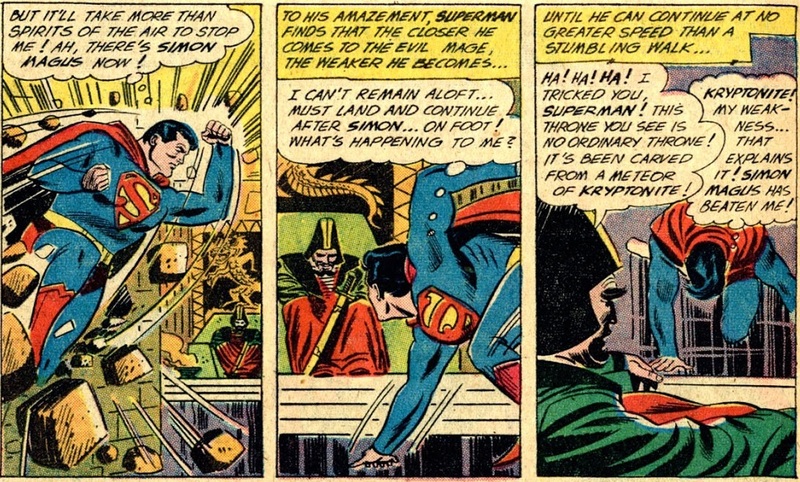 In fact, later in the issue, Superman runs into a wizard with a throne made out of Kryptonite! Luckily, some enchanted winds blew Superman into the wizard and knocked him out! 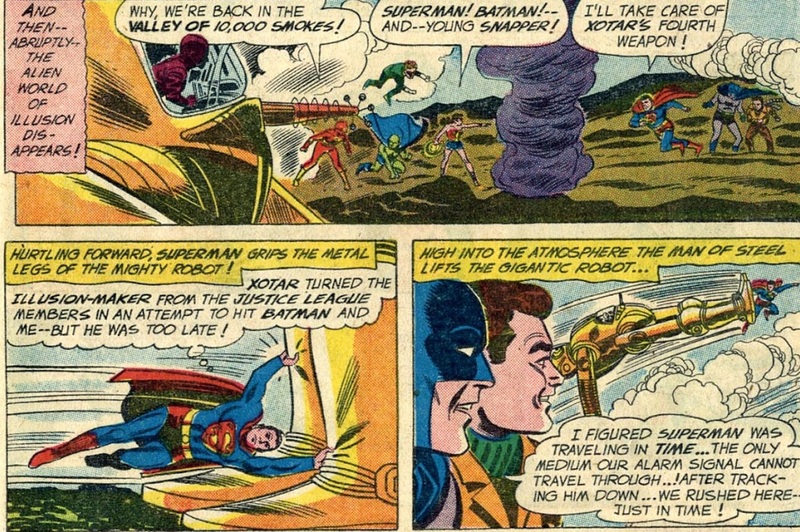 In the next issue, Kanjar Ro took Superman out of commission for most of the issue with a Kryptonite booby trap. In the next issue, which added Green Arrow to the team, Superman was knocked out by some handy kryptonite. 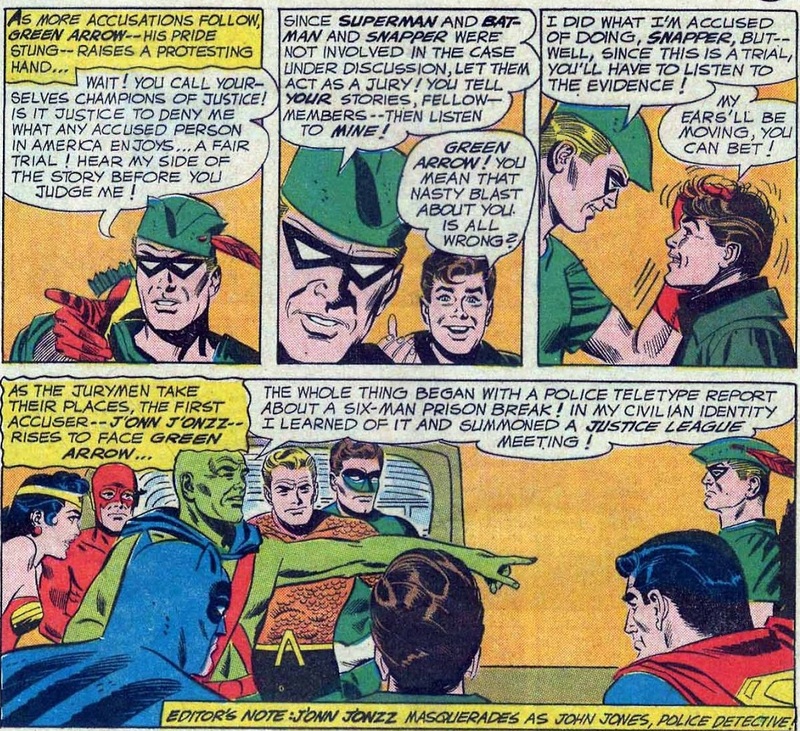 The next issue saw the rest of the League believing that Green Arrow was a traitor (this was the Silver Age, so superheroes believed the worst about their friends and colleagues at the slightest provocation) and since Batman, Superman and Snapper weren’t around for the missions in question, they worked as the jury for Green Arrow. 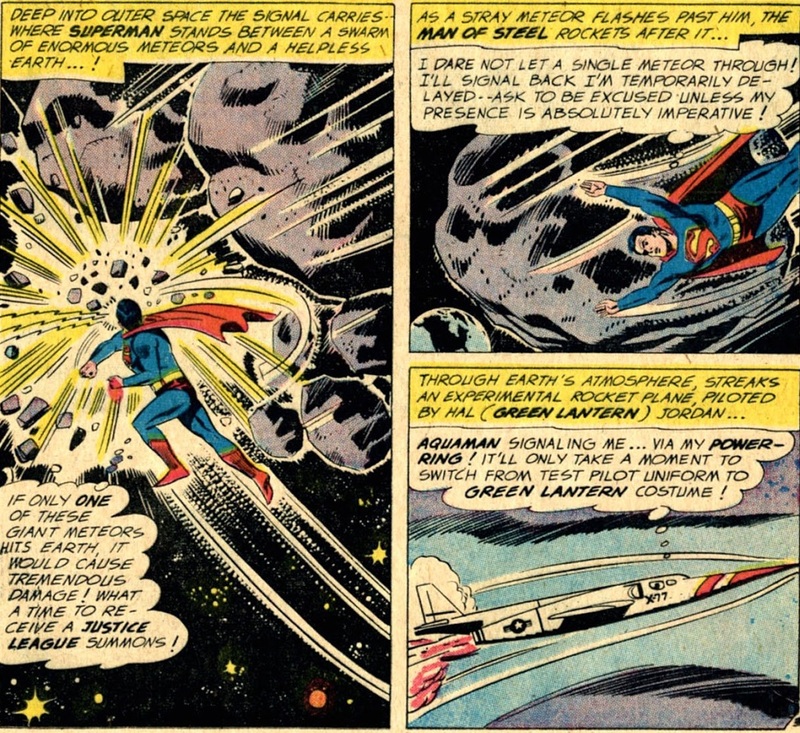 This first appearance of Amos Fortune wrote Superman off super easily. He was just not around period. The next issue is a fascinating example of Superman getting written out of the stories. He, Batman and Martian Manhunter go off on one mission while the rest of the League deal with the main story of the issue. When they return from their mission (which was not shown), they get sent on ANOTHER mission, which was intentionally a wild goose chase designed by the Flash for one of those complicated Silver Age type reasons that never quite make total sense. See How Superman Missed Out on Most of the Origin of the Justice League! The post How Did Early Justice League Stories Deal With Superman? appeared first on CBR. 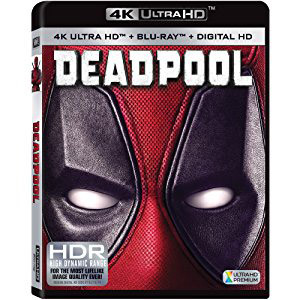 The post Hawkman Found #1 Review appeared first on Major Spoilers. The post Inside Astro City #48 with Kurt Busiek appeared first on Major Spoilers. The post Retro Review: Star Wars #107 (of 107) (July 1986) appeared first on Major Spoilers. We are kicking off 2018 a day early with one of the most controversial Major Spoilers Poll of the Week we’ve ever had! No, really… look it up. Okay, I know you aren’t going to look it up, but trust me this one is the big one as we ask you another important question about your favorite comic book covers! VOTE! 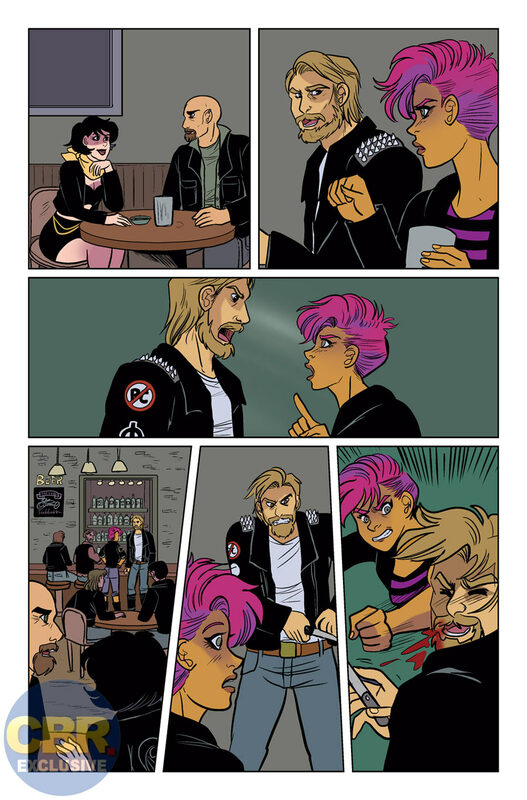 The post Major Spoilers Poll of the Week: Favorite Cover Edition (Six in a Series) appeared first on Major Spoilers. 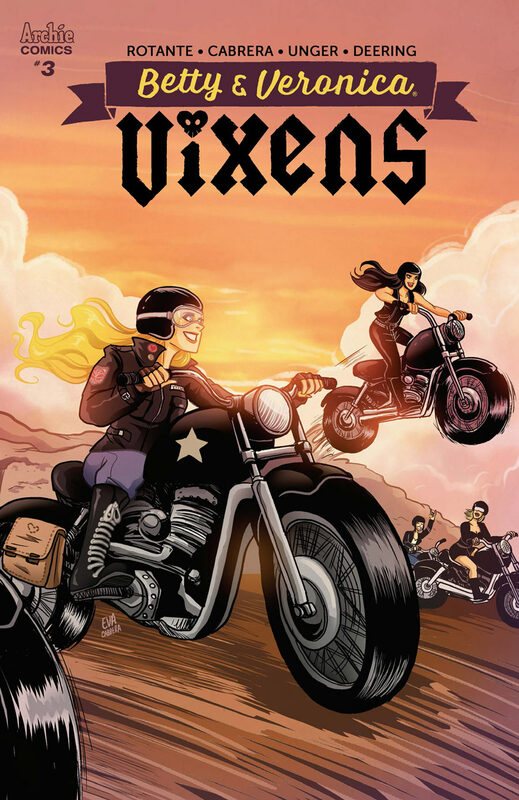 The post Phoenix Resurrection: The Return Of Jean Grey #1 (of 5) Review appeared first on Major Spoilers. Happy New Year! It’s time for another special week at the Wayne’s Comics Podcast! 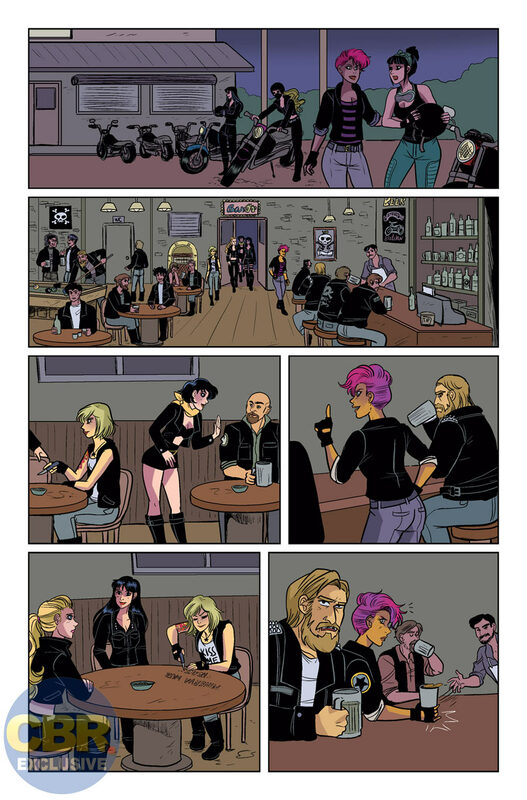 Get ready to support another terrific book from Scout Comics—Shiver Bureau from Walter Ostlie! The post Wayne’s Comics Podcast #310: Walter Ostlie appeared first on Major Spoilers. 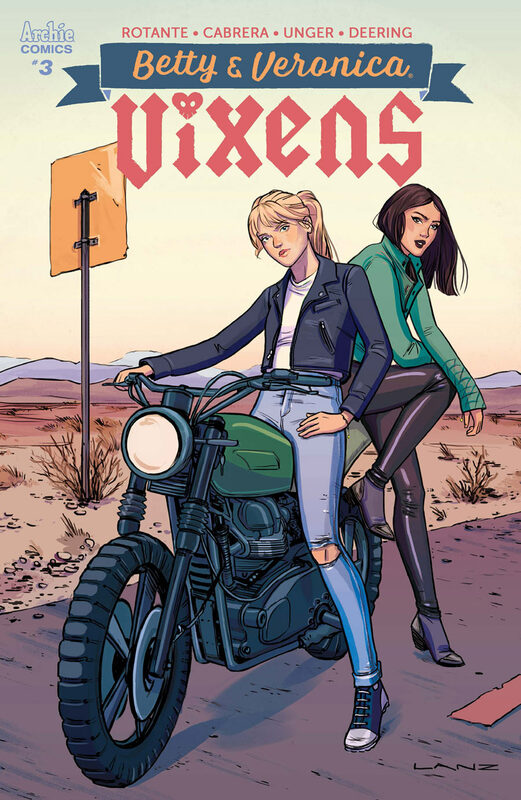 The post EXCLUSIVE: Betty & Veronica: Vixens #3 appeared first on CBR.